Bean hole beans are a Maine tradition. Bean hole beans are the traditional food of Maine’s lumber camps and are often still made by groups with an affinity for the tradition. But how do you make traditional Maine Bean Hole Beans? 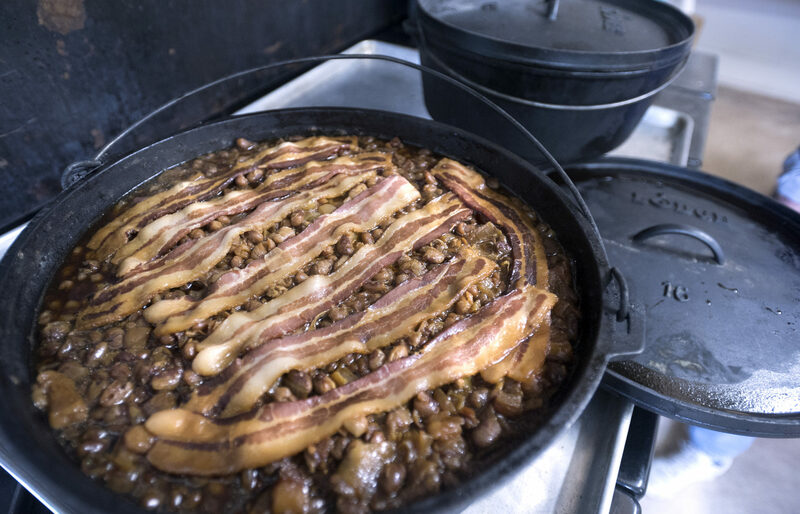 Islesboro food historian and Bangor Daily News cooking columnist Sandy Oliver offered this recipe for traditional Maine Bean Hole Beans. As is the case with many traditional foods, the recipe is a starting point. You could add bacon, or omit salt pork (add more salt if you make this change), add more onions or otherwise adjust it to taste. The instructions for baking the beans in a hole come from the Maine Organic Farmers and Gardeners Association. Happy bean cooking, and happy eating! Soak the beans overnight in water enough to cover generously. Next day, boil the beans until the skins peel back when you blow upon a spoonful. Put the beans together with the salt pork, molasses, sugar, mustard, salt and pepper and onion in a cast-iron bean pot and add enough water to barely cover the beans. 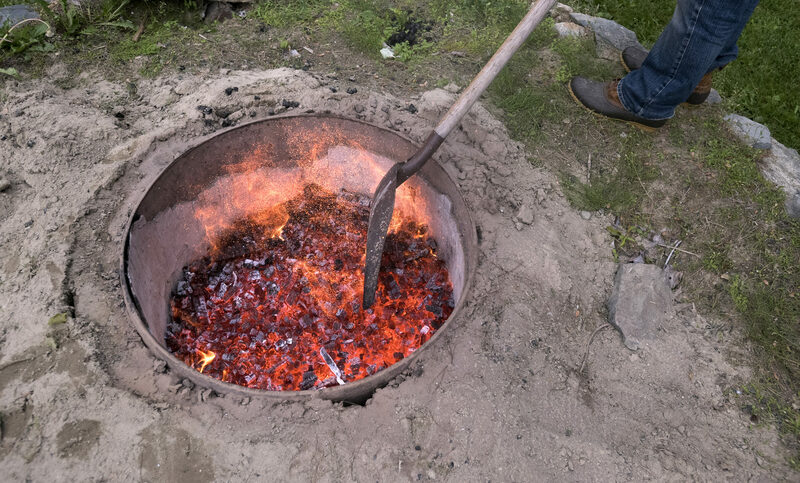 Now, lower the bean pot into a stone-lined pit in the ground into which a fire has been built and a good bed of coals has been made. Cover the cast iron bean pot with heavy-duty aluminum foil and then soil and allow it to cook for eight hours. Then take the pot out of the hole and dish up the beans. Notes: when lining the hole with stones, be careful to choose stones that have not been in the water, as they can explode when heated. Also, wood that is two to three inches in diameter will produce coals faster than big logs.